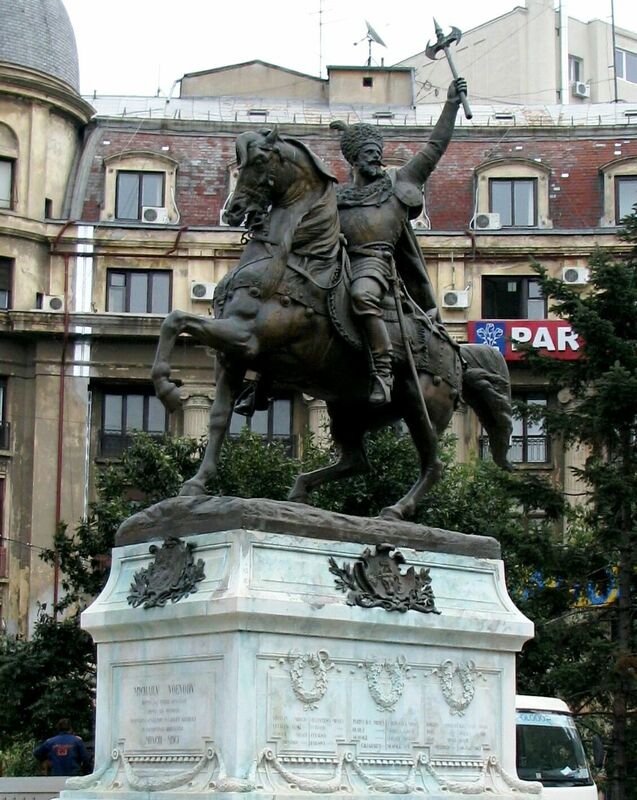 The statue of Wallachian Prince Mihai Voda Viteazul (Prince Michael the Brave) in front of the University is the first monument dedicated by Romanians to a national hero. In 1600, Prince Mihai unified for the first time the three Romanian countries, remaining in our history as a symbol of the aspirations for unity of all Romanians. A monument dedicated to Mihai Voda Viteazul had been envisioned since the times of the 1848 revolutionaries. After long debates on the desirable location of such a monument, the chosen place was in front of the Romanian Academy, which was functioning at the time in the new building of the University. The inauguration of the statue in 1874 -three years before the country gained its Independence- was celebrated with great enthusiasm, a parade of honour and artillery salutes. From the inauguration of the statue and until the Great Union of 1918, the small square in front of the statue was the place for all special events and historic moments, and for every National Day military parade (10 May). After the Proclamation of the Union of Transylvania with Romania, King Ferdinand and Queen Maria went on horseback all the way from the new Arc de Triomphe to the statue of Mihai Voda where they received the parade of the troops.